Spaces Between The Gaps: Why Does My Vegetarian Meal Taste So Bland? This article is a guest post I wrote for the comprehensive vegetarian resource site, Savvy Vegetarian. It contains the secrets of knowing how to make moreish meatless meals. For those of you dabbling with or newly committed to a plant based diet, you will probably be having this problem. To me, a lot of vegetarian dishes suffer a lack of flavour that doesn’t seem to be fixed with salt. They taste rather one dimensional. They lack depth or fullness in flavour. To be blunt, they are bland. This can especially be a problem for new vegetarians and flexitarians and I shall explain why. 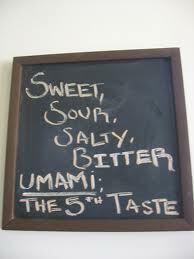 If it just doesn’t taste as satisfying as you expect, then it’s probably missing that wonderful essence known as umami.